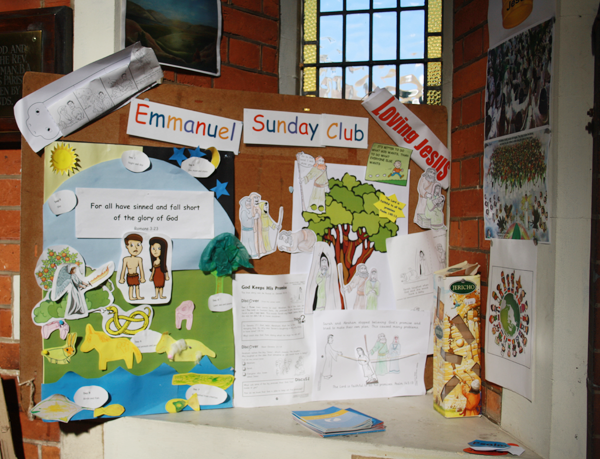 We love to welcome families at Emmanuel Church and try to help our children learn about Jesus from the Bible in age appropriate ways. For most of the year we run a Sunday Club with two age groups (3-7s and 8-12s). During the holiday periods when our leaders take a break we have a more relaxed time watching DVDs based on Bible stories, play games or enjoy crafts together. We are currently using ‘Mustard Seeds’ Sunday school teaching material produced by TnT, and aim to cover a good balance of Old Testament and New Testament teaching. All our Sunday Club teachers and helpers have been through the required Safeguarding training and procedures. You can see our Safeguarding policy here.